In our last lesson we learned of the Great Commission: "Go into all the world and preach the gospel to every creature." God has done something in Christ upon which the salvation of the world depends, and all the world needs to hear about it. Who is going to take the gospel to the world? Those who are servants of God. We who are saved are called to serve God and to take the gospel to the lost. 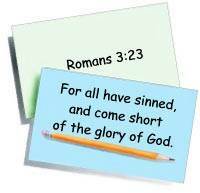 We must not forget that we ourselves were once lost, dead in trespasses and sins, and separated from the life of God. Some servant of God told us about the Lord Jesus; we believed on Him and became sons of God through faith in Jesus Christ. Now we must become servants of God that others may hear the gospel and be saved. 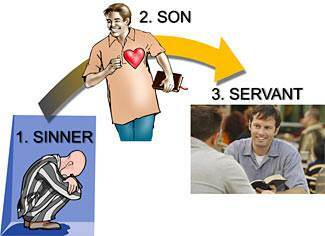 Sinner—son—servant! These are the vital links in God's plan for getting the gospel to the world. Sinners hear the gospel, believe on the Lord Jesus, and become sons. In time, they become servants of God to take the gospel to others. 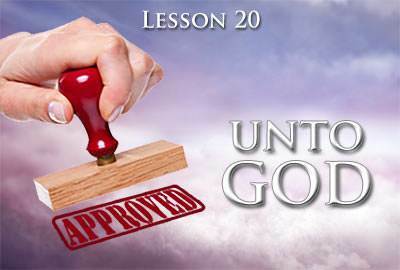 In this lesson we are going to learn how we can begin preparing ourselves to be effective servants of God. 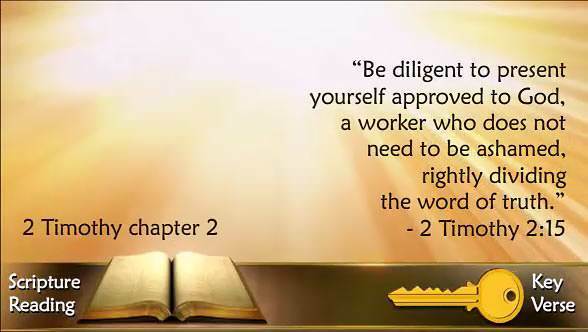 A working knowledge of the Bible. How do we obtain a working knowledge of the Bible? By reading it, by studying it, and by memorizing portions of it. 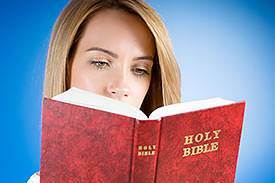 The Bible is the most important book in all the world; yet, sad to say, many Christians do not take time to read it and become familiar with it. When we eat, we take food into our bodies. It becomes a part of us. We must likewise take God's Word into our lives—it must become a part of us. 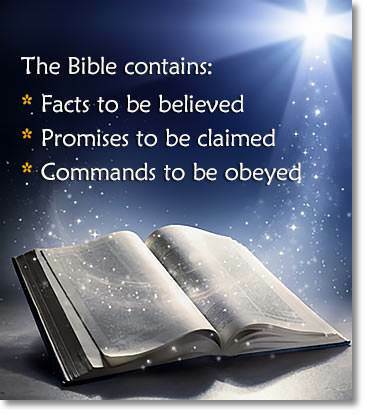 As we read God's Word, let us believe its truths, claim its promises, and obey its commands. In the Gospel of John you will find that Jesus is the Word of God; He is the Lamb of God; He is the living Bread which came down from Heaven; He is the Way, the Truth, and the Life; He is the Good Shepherd; He is the Resurrection and the Life; He is the true Vine; He is the One who died for our sins; and He is the living, resurrected Christ. 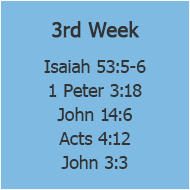 After you have read the Gospel of John, read the book of Acts. This book tells about the early days of the Church. 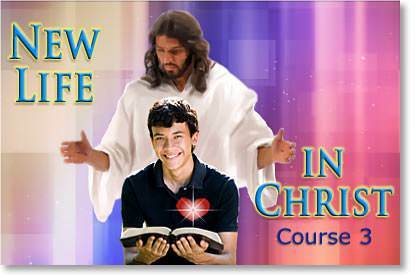 Then begin with Matthew and read the entire New Testament; and finally, read the Old Testament. This will take time, but it will be time well spent. As you read the Bible, do not be unduly concerned about things that you do not fully understand. Someone has said that reading the Bible is like eating fish. When you are eating fish, you come across bones occasionally. What do you do when you come across a bone? You simply lay it aside and keep on eating the fish. You don't throw the fish away just because you find a bone. Likewise, when you come across something in the Bible that you do not understand, just say, "There is a bone—something I don't understand. 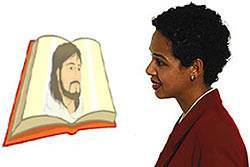 I will lay it aside for now and keep on reading God's Word." Do not allow your faith to be shaken by those who claim to find errors and contradictions in the Bible. For hundreds of years unbelieving men have tried to discredit the Bible, yet it still stands today as the infallible Word of God. 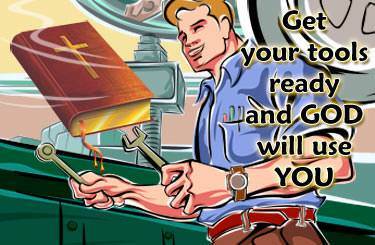 Every time you memorize a portion of God's Word, you are equipping yourself with an other tool to use in serving God. The secret of memorizing is repetition. If you say something over and over enough times, you will memorize it. The best and simplest way to memorize verses is through the use of cards. Purchase some 3x5 index cards. On one side of a card write the verse you want to learn; on the other side write the reference. Be sure to copy the verses correctly. Carry the cards with you and go through them as often as you can during the day. Look at the reference on each card and see if you can quote the verse. Then check yourself by turning the card over and reading it correctly. Do this over and over again. Don't be satisfied until you can quote the verses perfectly. 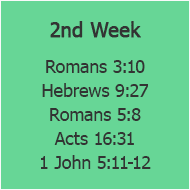 Soon you will find that you have memorized these verses, and then you can add more verses. How do you remember what you have learned? To remember what you have learned, you must review often. 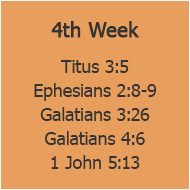 You can add new verses each week, but be sure to review the ones you have already learned. Review! Review! REVIEW! You can memorize Scripture. Don't excuse yourself by saying that you have a poor memory until you have honestly tried the above plan. You can memorize. The verses you memorize are the tools you will use as a servant of God, so begin now memorizing Scripture. 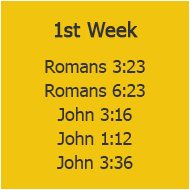 Here are some verses to get you started. If you want to become an effective servant of God, you must not only have a working knowledge of the Bible, but you must also have daily fellowship with the Lord Jesus. The secret of a strong Christian life is a daily Quiet Time. What is a Quiet Time? It is time spent alone with the Lord each day in the study of His Word and in prayer. We will become more like Christ. It is by beholding the glory of the Lord Jesus that we are made like Him. God reveals His will to us. Usually, it is when we are alone with the Lord that He speaks to us through His Word and reveals His will to us. We get to know the Lord. How Do You Establish A Quiet Time? To establish a Quiet Time, three things are necessary—a definite place, a definite time, and a definite plan. 1. Find a place where you can be alone with the Lord. You need a place with a good light and a table where you can lay your books and write notes. 2. Decide on a definite time. For most people the best time is the first thing in the morning. Great musicians always tune their instruments before a concert, not after it. It is much better for us to meet with the Lord the first thing in the morning and let Him tune our hearts than to come to Him at the end of the day with a long list of failures to confess. 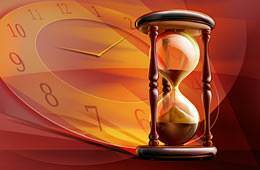 The importance of spending the first hour of each day with the Lord cannot be overemphasized. The Bible says of the Lord Jesus, "And in the morning, rising up a great while before day, He went out, and departed into a solitary place, and there prayed." If the sinless Lord Jesus found it necessary to spend time alone with His Father each day, how much more should we! Are you serious about preparing yourself to serve God? If so, you must get up in the morning to meet with Him. 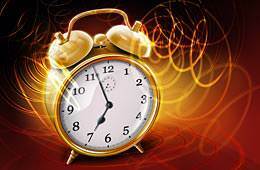 Get a good alarm clock and use it. Decide when you want to get up, and then get up! This is one practical way in which you can show the Lord how much you love Him. 3. Have a definite plan. Begin your Quiet Time with a short prayer to the Lord asking Him to speak to your heart through His Word. Then open the Bible and begin reading. Don't hurry; take time to think about what you are reading. 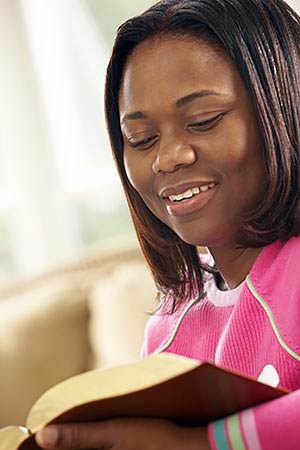 Talk to God about what you are reading. Often a particular verse will be especially meaningful to you. Write it on a card and memorize it. "How much time should I spend?" This is up to you. A half hour is minimum; an hour is much better. There are 24 hours in each day, and every serious-minded Christian should be able to set aside one of these hours for God. 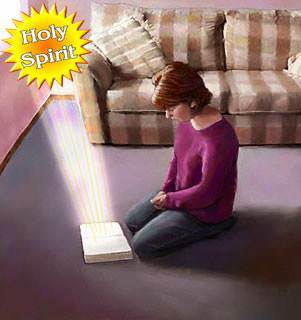 Spend the first part of your time reading the Bible; then turn to the Lord in prayer. Confess your sins to Him. Praise Him for all that He is to you. Thank Him for His blessings. Pray for those whom He brings to your mind. Ask for His guidance through out the day. Tell Him that you love Him. WARNING: Be prepared for all kinds of opposition to your establishing a Quiet Time. Satan knows what a daily Quiet Time does in bringing power in to the life of a child of God, and he will do all he can to prevent your establishing this habit in your life. There is a price to pay in becoming an effective servant of God. You must spend time learning God's Word. You must spend time memorizing Scripture verses. You must spend time alone with the Lord. Do you want your life to count for God? Then begin reading God's Word daily. Start memorizing Scripture. Establish your Quiet Time and keep it faithfully. BEGIN NOW.